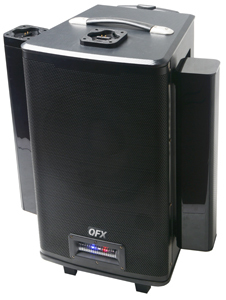 Introducing the QFX PBX-125 Party Speaker with a twist. 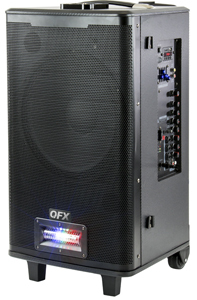 Now you can have great sound for any event or occasion. 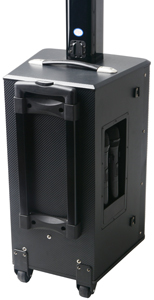 This compact system is small enough to fit in your trunk or back seat, and its modular design makes setup easy and fast. You can arrange it in either a collapsed configuration for smaller spaces or a taller, extended configuration for larger ones. No heavy speakers to hoist onto stands. No speaker cables to connect. Just Twist on / off and enjoy !